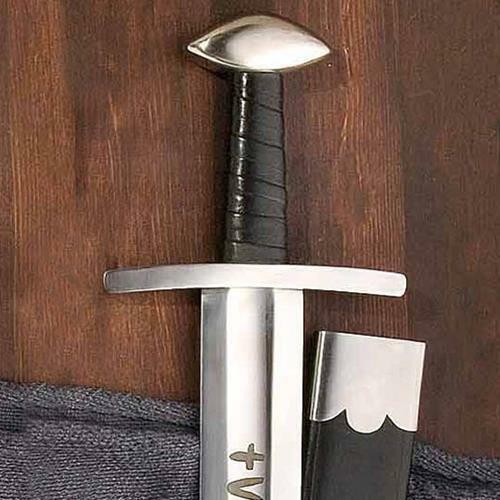 Copied from a sword shown in Ian Pierce’s book ‘Sword of the Viking Age’. A quantum leap in both technology and design of the time. Legend has it that a Nordic smith named Ulfberht developed the first all steel blade that achieved near mythical status amongst warriors. 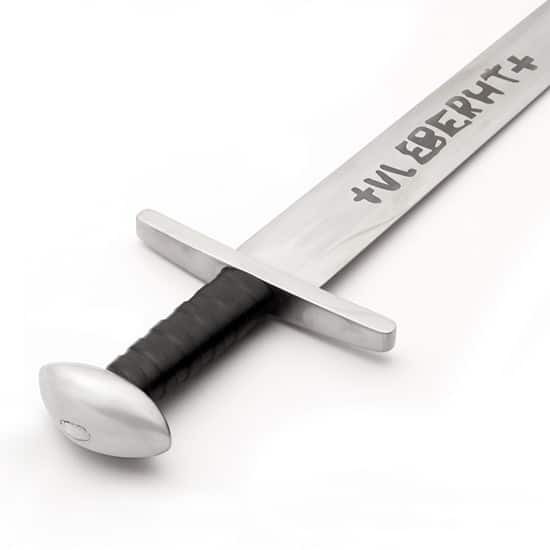 Some were engraved in gratitude and reverence with Ulfberht’s name. Etchings on both sides have been copied exactly from the image so that it remains truly identical. The 77cm x 5.5cm blade is tapered more sharply to the point that gives balance of the sword closer to the hand and makes it faster on the stroke and recovery. Leather wrapped wood grip with steel cross guard. Brazil nut shaped pommel popular at the time by Vikings and other users. 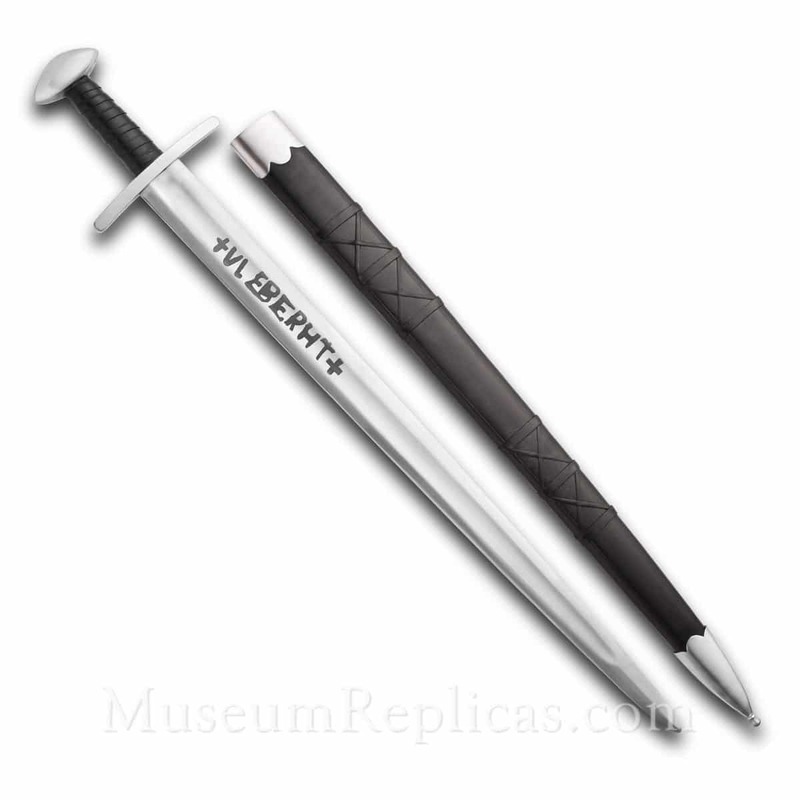 Comes with versatile leather scabbard.